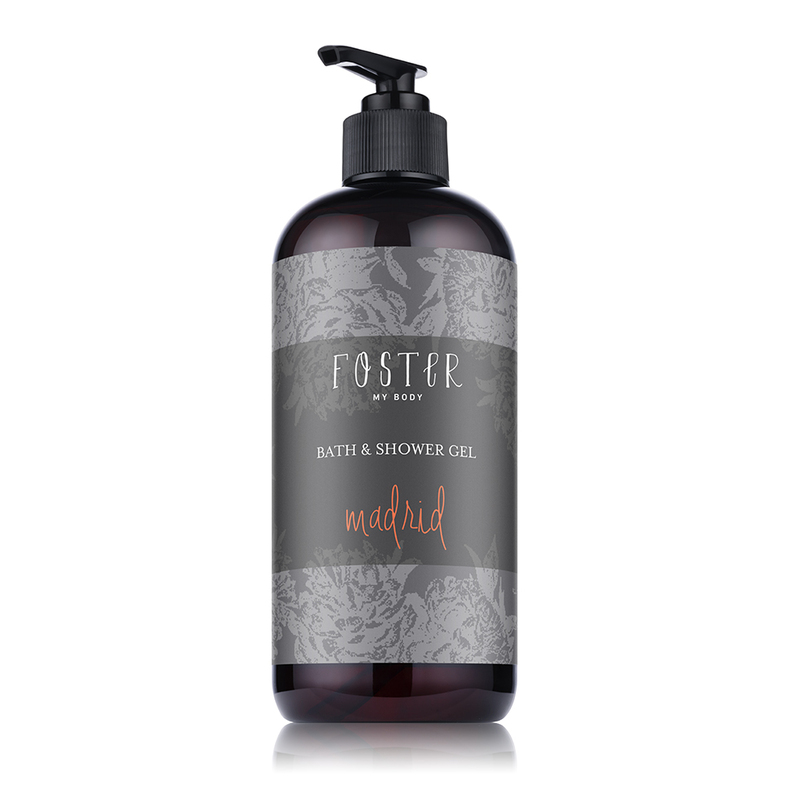 Make showering the most memorable part of your day with M.Boutique’s Bath & Shower Gel. Live the truly luxurious experience as the rich bubbles infused with pure essential oils from around the world caress your body while simultaneously sending you to paradise. Your skin will be cleansed, pampered and left with a noticeably visible glow. Healthy skin: Extracts of Green tea offer natural antioxidants, helping to protect your skin against the harsh environment, while infusions of Argan oil, honey and oatmeal supply vitamin E, condition and repair. Result: Our unique, hypoallergenic, sulphate-free, bio-degradable, non-toxic, all natural blend will leave your skin stunningly soft, supple and moisturized to perfection. The cosmopolitan charm of Madrid: This beautiful aromatic blend of lemon and orange blossoms, with hints of leather, amber, oak and sweet vanilla will add balance and beauty to your life. 100% Pure Argan Oil Argan Oil is extracted from the nut of the Argan tree. Argan Oil is loaded with Vitamin E for conditioning and repairing properties. Wheat Germ Oil Extracted from the germ of the wheat kernel. Wheat germ is packed with important B vitamins, such as folate, vitamin B1 (thiamin) and vitamin B6. Tocopherol The chemical name for vitamin E. Vitamin E has been shown to help with the growth of hair as well as preventing hair loss. Citric Acid Anatural preservative/conservative which occurs naturally in citrus fruits Added to help adjust the acid/base balance. Rosmarinus Officinalis (Rosemary) Leaf Extract Produced from the leaves of the Rosmarinus officinalis plant. Kills micro organisms, or prevent or inhibit their growth and reproduction. Shea Butter A fat extracted from the nut of the African shea tree. Enhances the appearance and feel of hair. Organic Palm Butter Palm butter, a rendering of oil palm fruit Palm butter is a natural (non-hydrogenated) stearin fraction of palm fat that is a solid butter at room temperature Palm butter may be used in formulas to aid in free radical scavenging, cell regeneration, and to assist in moisturizing after exposure to sun and other harsh elements. Oatmeal Extract Extracted from Oats Soothes and helps healing burns and eczema. Also acts upon the top layers of the skin for an immediate tightening effect. Honey A sweet food made by bees using nectar from flowers. Draws moisture from the air into the skin and ensures it's retained it in the layers where it's needed most for penetrating, long-lasting hydration.